Ready for some more manga? 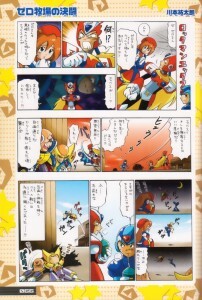 Today we’re serving up some X series manga from page 66 of Rockman Perfect Memories. And… Action! Iris: Zero, is it true what I heard about you having a virus? Iris: It’s going around that X said that Zero was infected with a malignant virus….. Zero: X said that…? 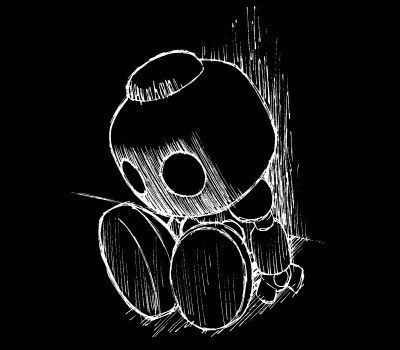 I can’t believe it… I’ve always trusted him…!!! Zero: X!! You must be mighty brave to insult me behind my back!! X: I don’t know what you’re talking about, Zero!! By the way, where are we?! Sigma: Just as I planned. Now we wait for them to exhaust themselves fighting each other, then we strike…..
Sigma: …Aren’t they ever going to finish? X: You’re even better than I would have guessed, Zero. Zero: Heh… I could say the same about you. And so the endless battle between these two evenly matched warriors continued!!! 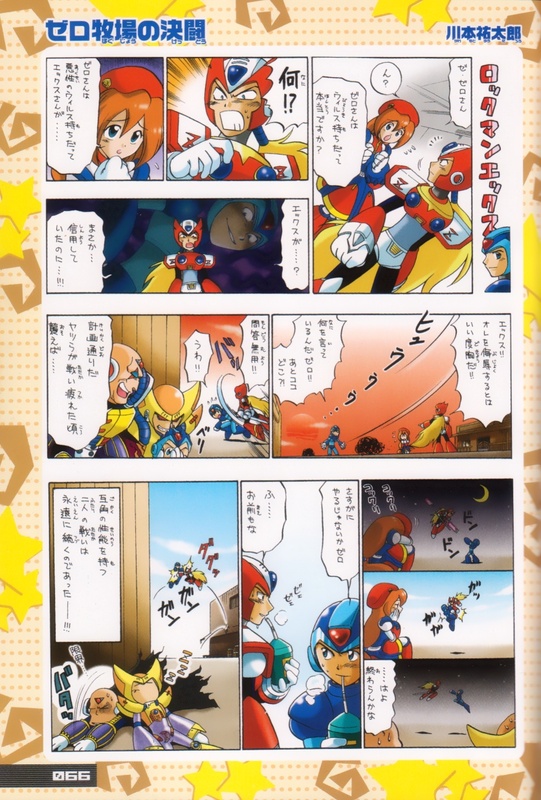 Sigma: I can’t take it anymore…..
Is it just me, or does Zero look completely stretched out in the first few panels? Tomorrow: DASH! 6 Comments to "The Manga of Rockman Perfect Memories, part 2"
Yeah, Zero’s waist looks like a stretched piece of gray toffee there… Also, what the heck is that X head thing that Double is holding? Probably an X-mask. he probably started the rumor about X starting the rumor. You got it! Tho as to why a shape-shifter would need a mask, I can only assume it’s to clue the reader in. Alternate answer: Double is mutilating an old 1-Up that he found. I like how Iris looks when X and zero are at the corral; and I never thought that Sigma and Double sleeping cloud look so hilarious.